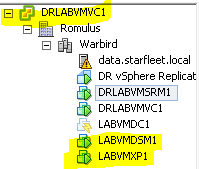 Now it is time to Failover from Production to DR. Login to SRM and go to your Recovery Plan. Select the Recovery Option. Recovery Confirmation. There are 2 types of recovery, Planned and Disaster. Planned will sync up your storage and requires the sites to be connected. Disaster is a “We need to get going ASAP” situation. 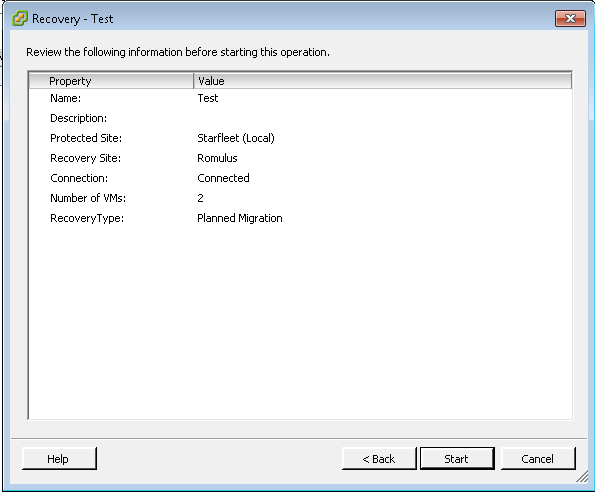 The following thing will happen in this order: Sync Storage if possible, Shutdown protected VMs at Production, Restore ESXi hosts from standby, Begin the Recovery. 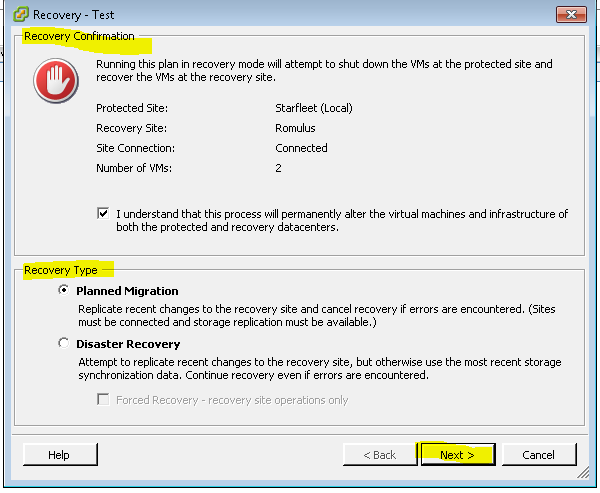 Once the VMs have recovered you will be up and running at your DR site. The final blog in this series will demonstrate how to Re-protect back to the original Production site.